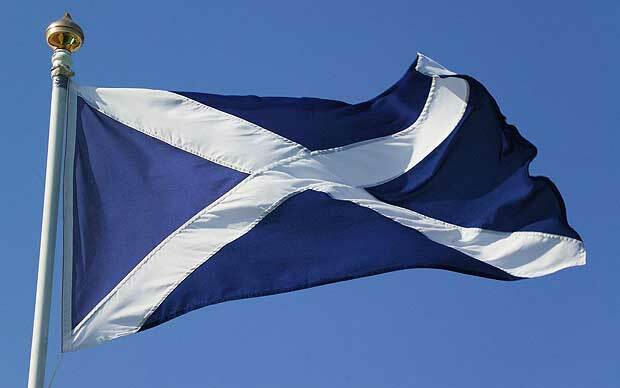 New polling by Survation of residents in Scotland show that a majority (53%) think that the Scottish Parliament should have the right to decide if there should be another Scottish Independence Referendum, rather than the UK Parliament in Westminster (34%). This includes almost a third (31%) who did not vote for independence in 2014. Removing those who did not have an opinion, 61% think the right should fall on Holyrood, compared to 39% who think the right should lie with Westminster. 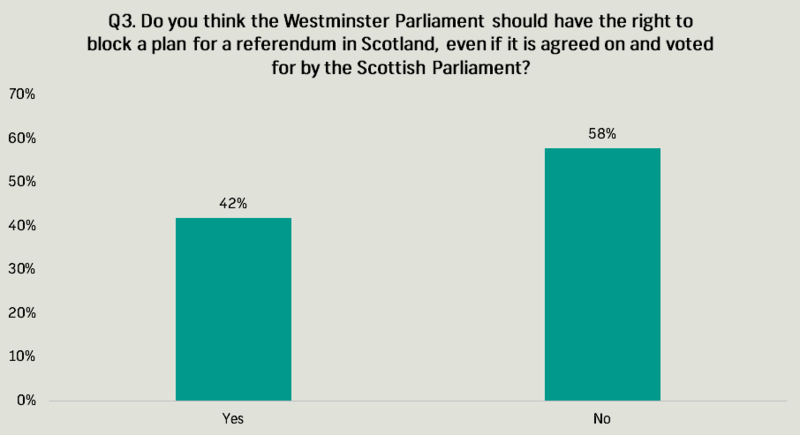 Half (50%) believe that the right to determine the timing of a future referendum should also lie with the Scottish Parliament than those who thought Westminster should have that power – 39%. Once again, removing those who said ‘don’t know’ (11%) leaves 56% thinking the timing of another Independence Referendum should be in the hands of Holyrood compared to Westminster (44%). Should Westminster have the right to block The Scottish Parliament? 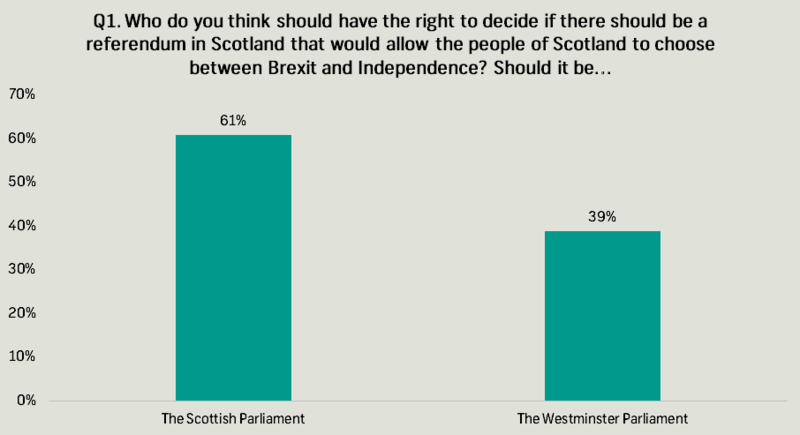 Finally, 54% of Scots said that they did not think that Westminster should have the right to block any plans for a referendum in Scotland once it has been voted for and agreed on by the Scottish Parliament. 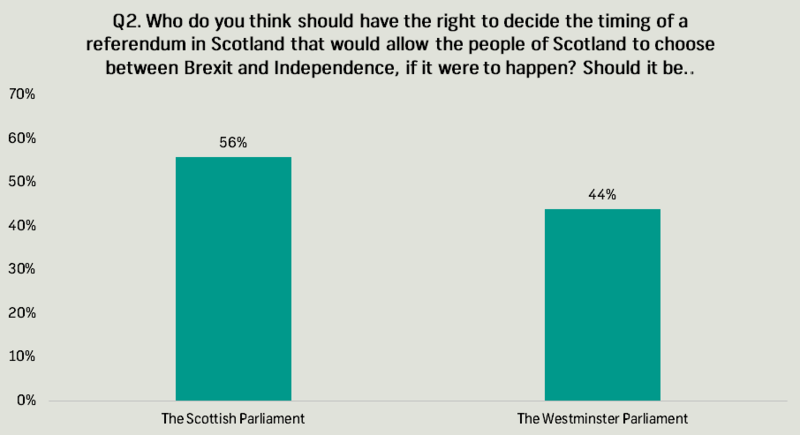 39% said that Westminster should have the right to block such plans, even if they had been voted for in Holyrood, with 7% saying that they didn’t know; removing those shows that 58% think that Westminster should not be able to block the plans, the 42% saying they should. Survation interviewed 1,014 Scottish adults aged 16+ via telephone on the 28th and 29th March 2017. Survation is a member of the British Polling Council and abides by its rules.